We are the celebrated Supplier of quality Chocolate Packaging. We offer Chocolate Packaging in bulk quantities and at affordable prices. We are able to produce various sizes, colors and shapes of bags for confectionery packaging. Our chocolate packaging bags are customized with the help of the rotogravure printing up to 9 colors and nutritional information can be visibly displayed on these bags. 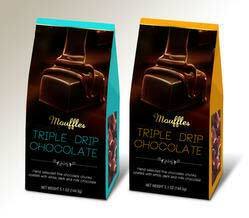 We provide flexible and easy to use chocolate packaging solution. It preserves your products for longer because we make use of aluminium and metalized foil layering.